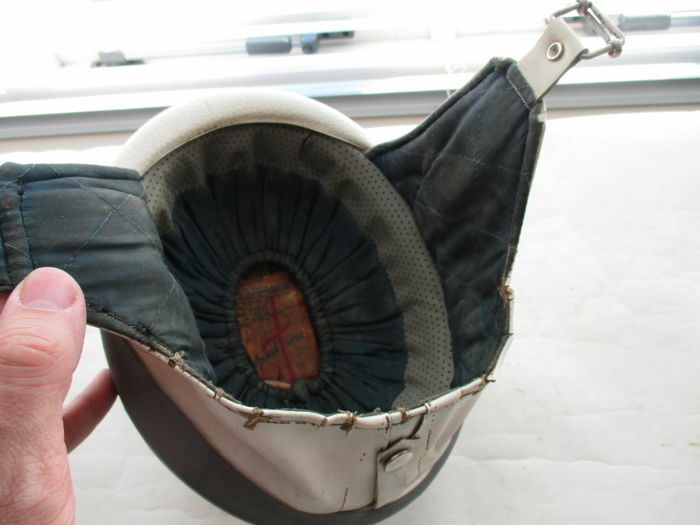 In used, but still usable condition. 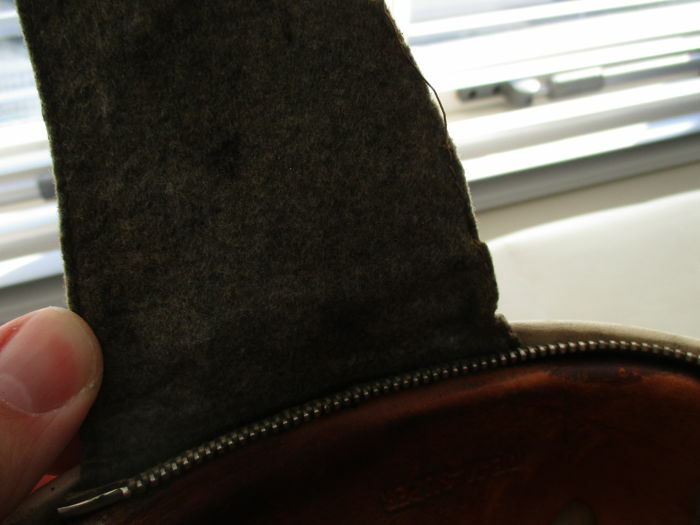 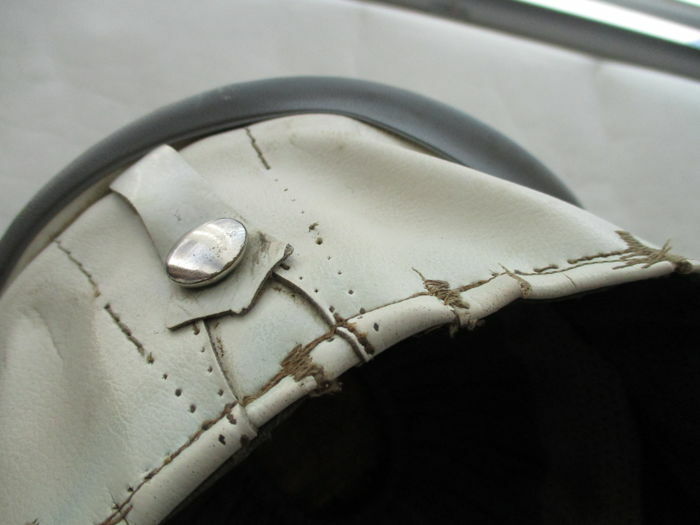 In nice condition, strap in one piece, supple leather, inner lining in one piece. 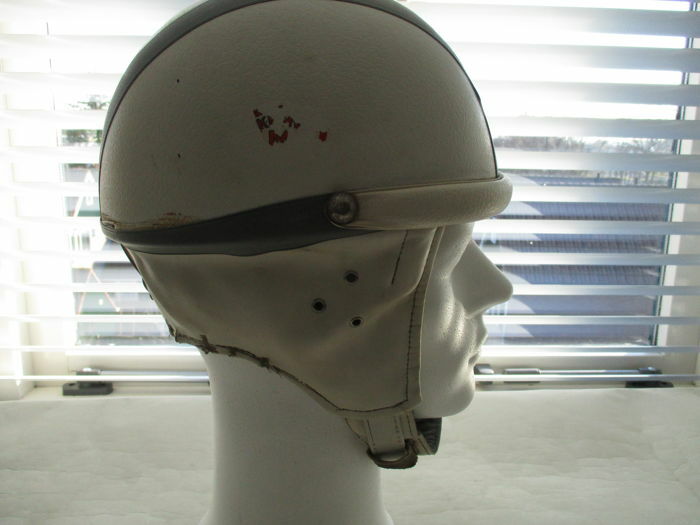 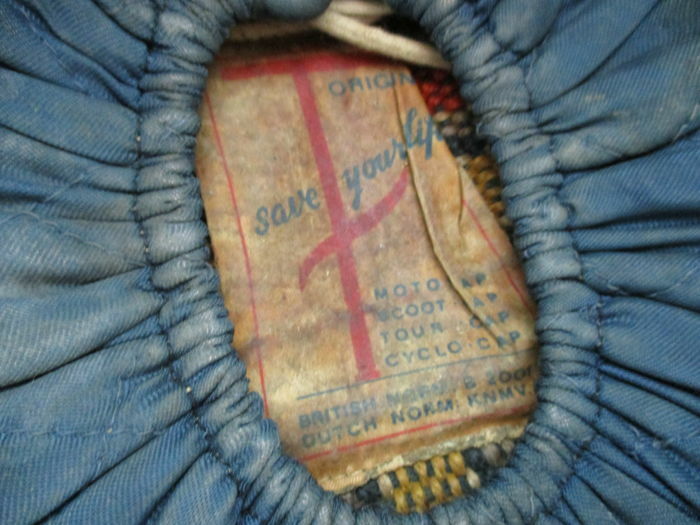 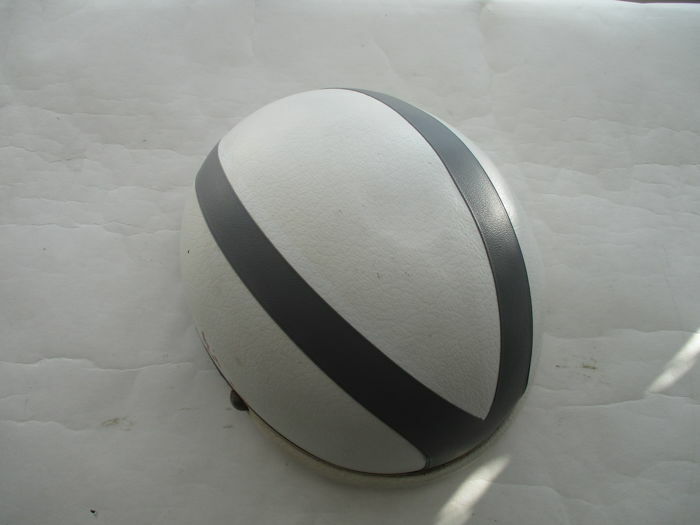 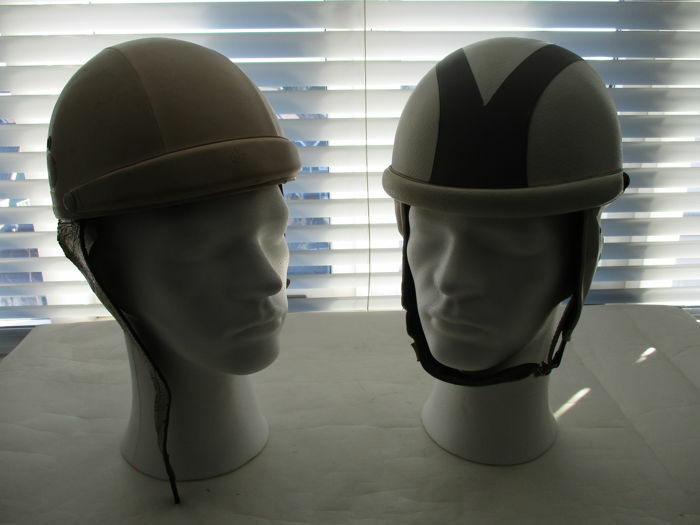 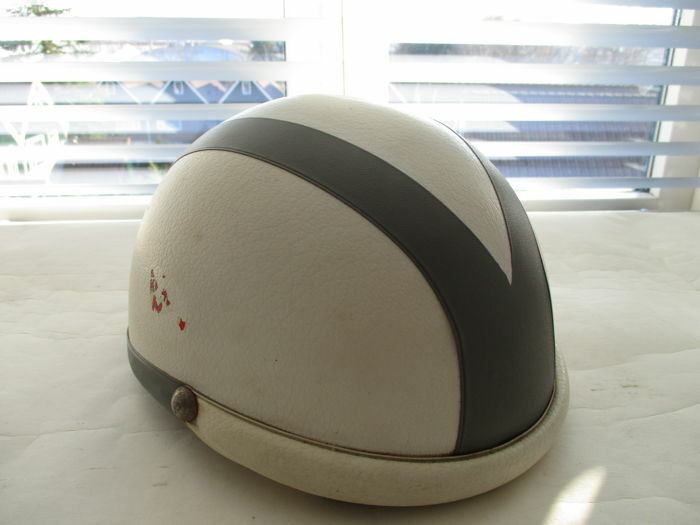 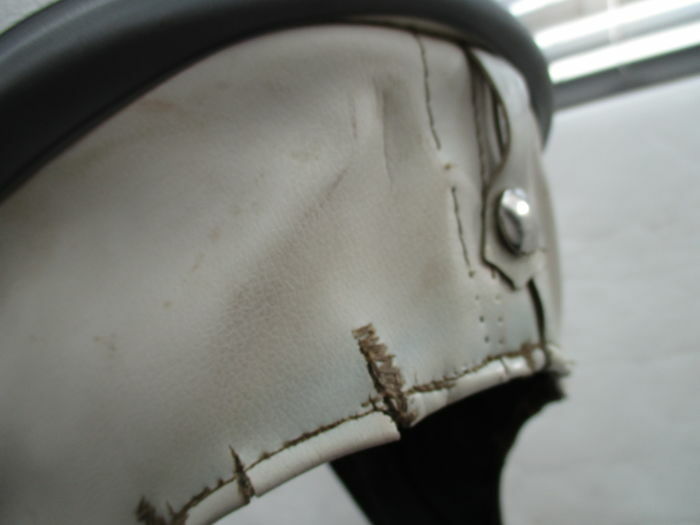 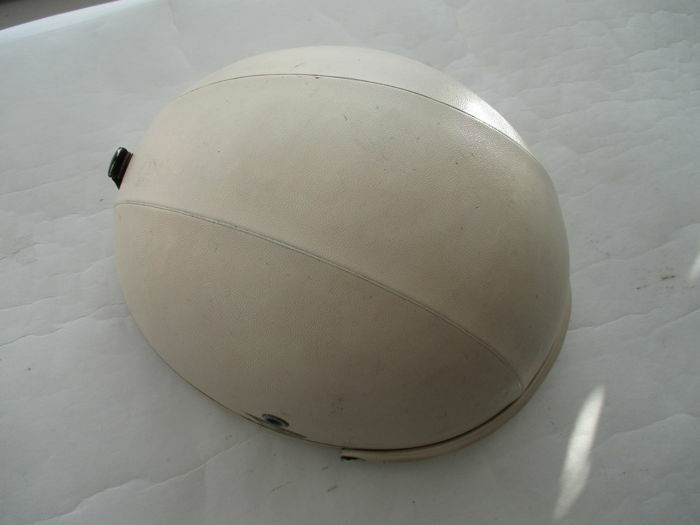 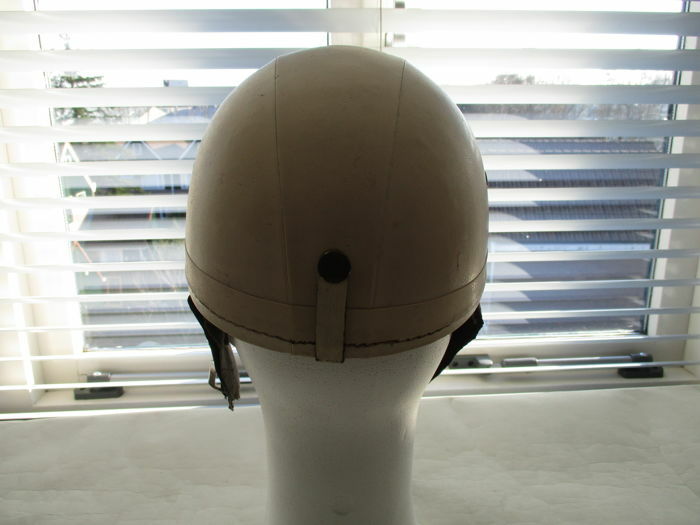 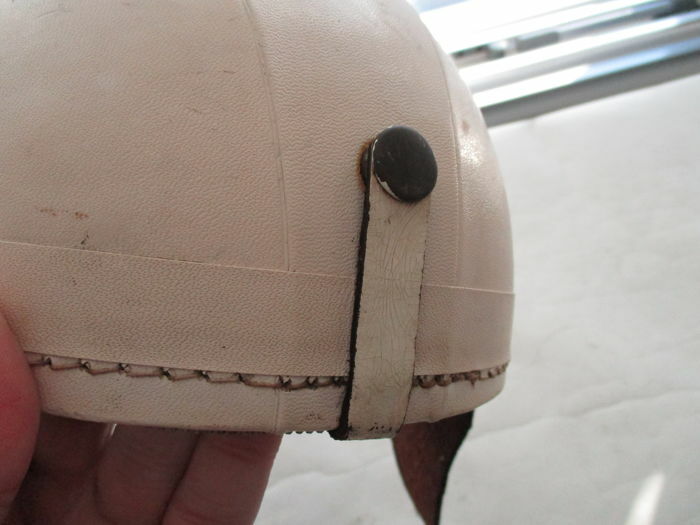 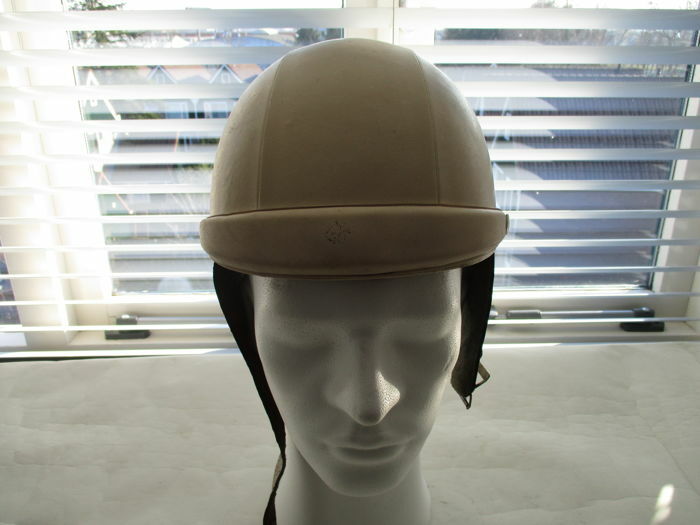 Nice helmet with a leather lining, the outside on the side of the neck has had some stitching repairs in the past. 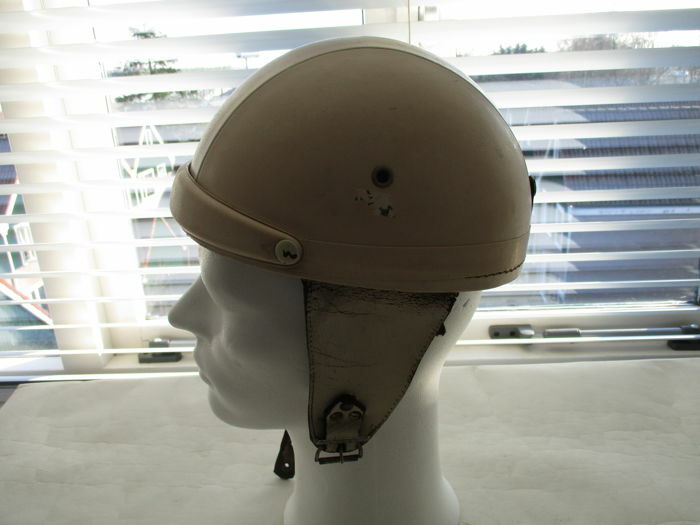 Nice for vintage car use or display. 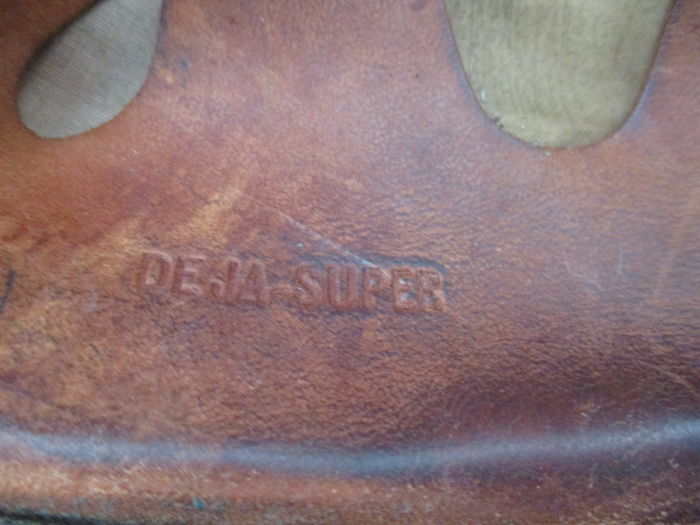 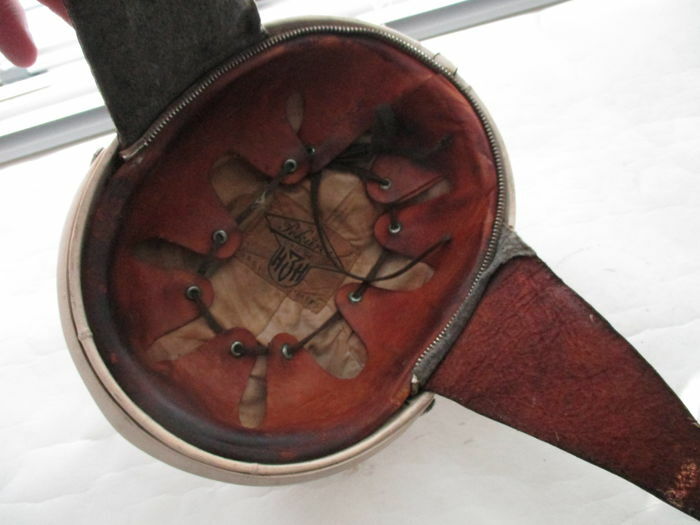 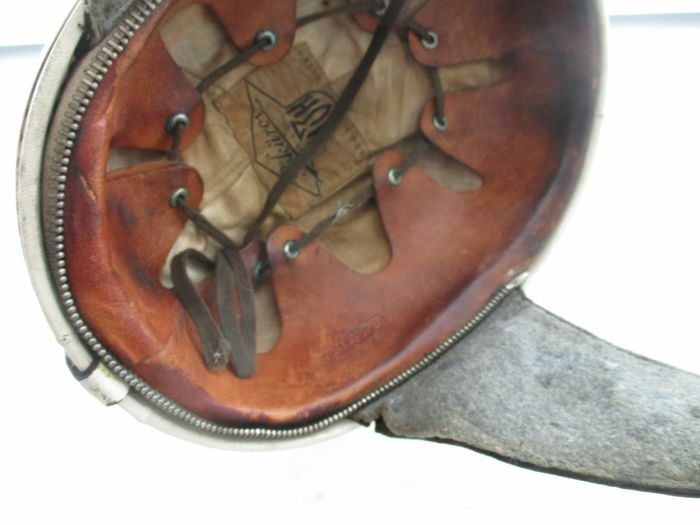 In nice condition, strap in one piece, supple leather. 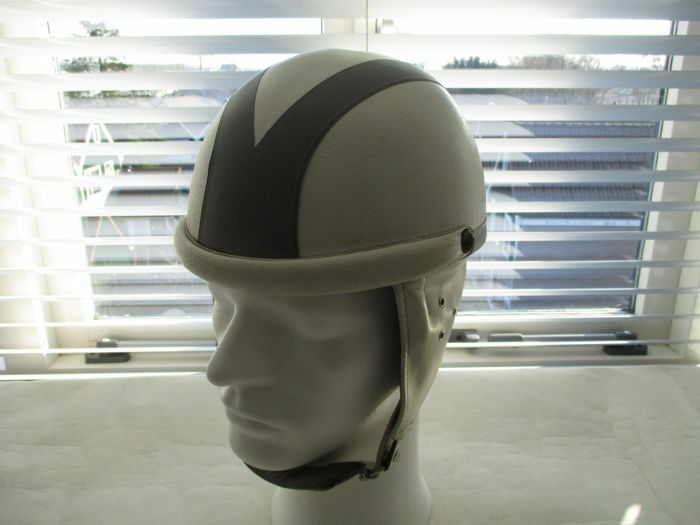 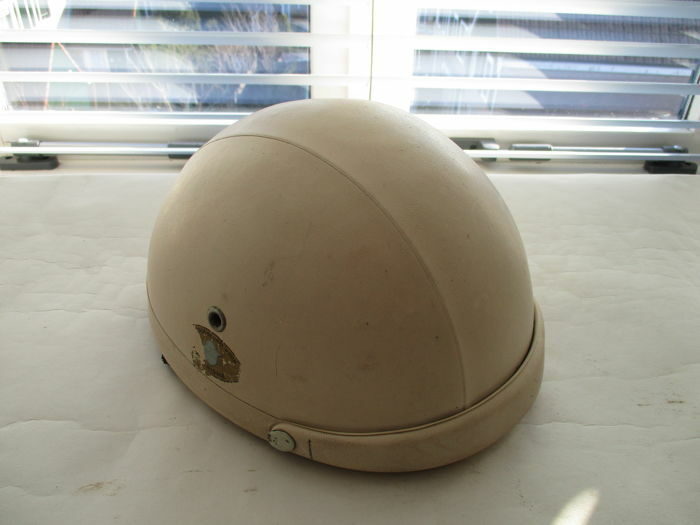 Nice helmet with leather interior, it also has a zipper to attach a neck protector. 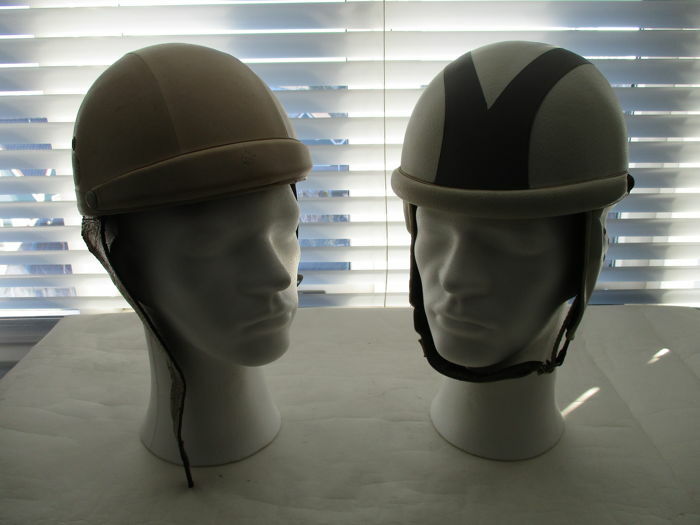 Bids are only for the hats. 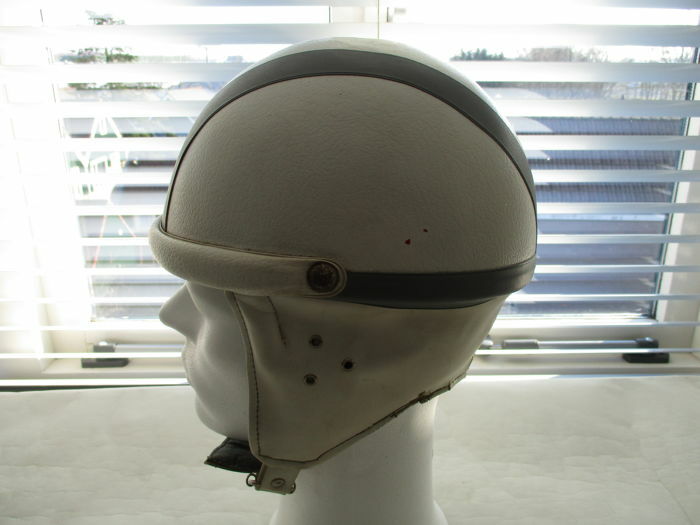 The heads are not included. 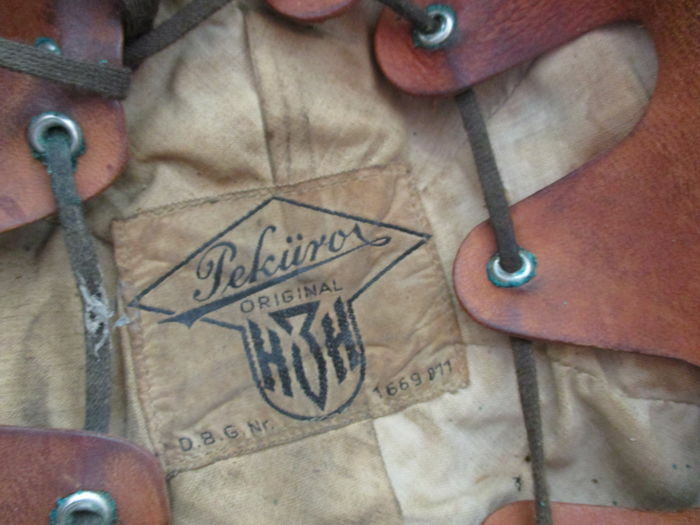 These are therefore not part of the sale. 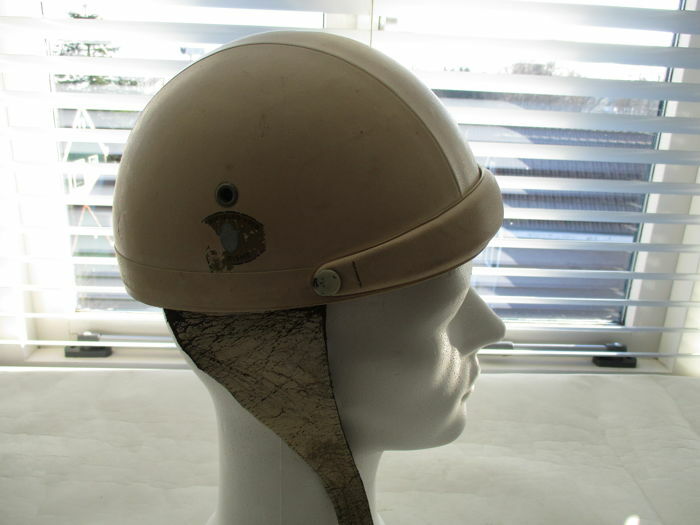 The helmets have no sizing. 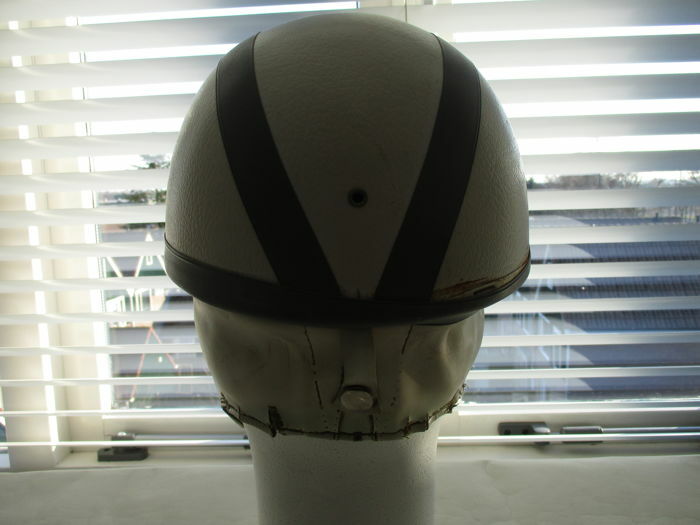 Head circumference of the display head is 57 cm. 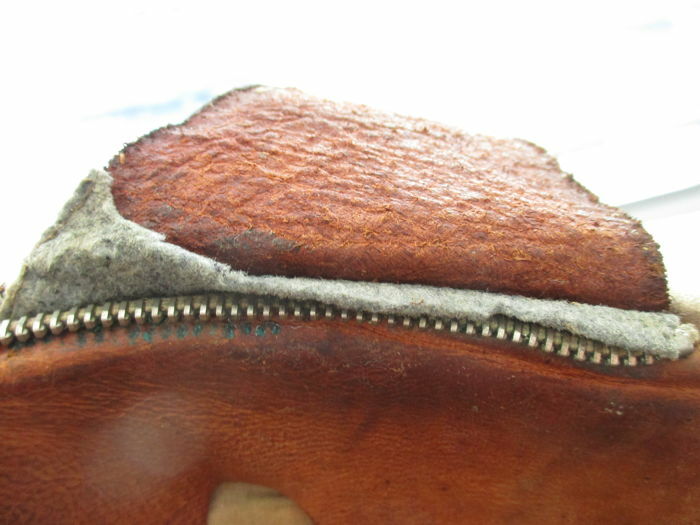 Carefully packaged and shipped by registered mail.